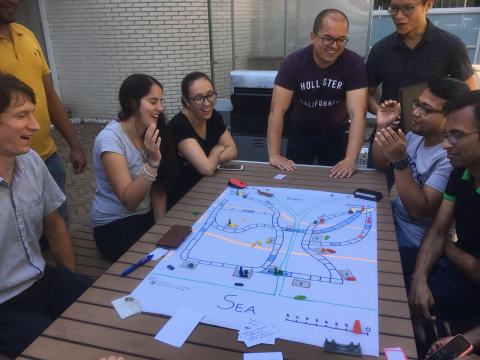 I’ve recently come back from IHE-Delft where I was teaching on the third edition of the “Serious Gaming for the Water Sector” summer course. I’m very lucky to be able to spend a week a year having fun with bright, creative people and piles of game bits and pieces and call it “work”! The course has changed quite a bit since I organised the first edition in 2016. 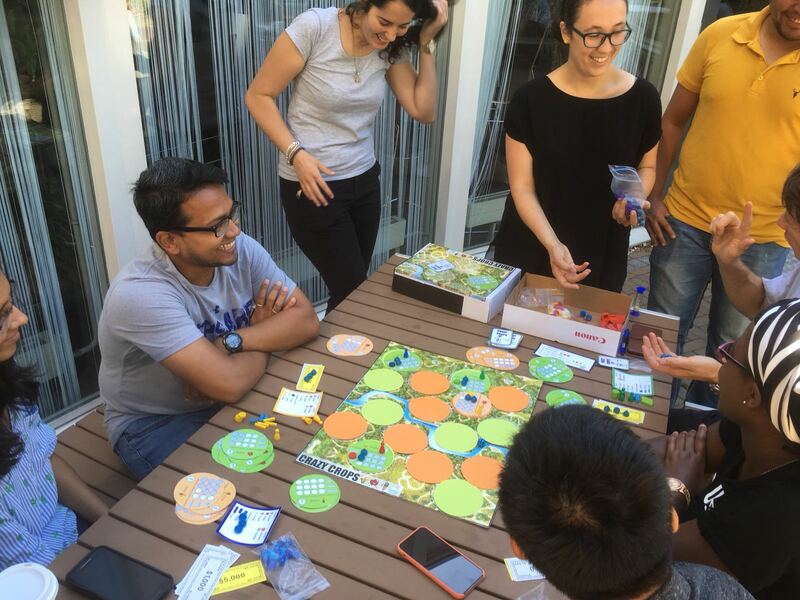 It’s a week-long course aimed at all IHE-Delft postgraduate students, and looks at how to use games to solve water-sector problems – and how to design your own. This first edition did go well and I got really positive feedback. However, some participants commented that they’d like to have had more time to work on designing their own games. I took that on board and the second year, I stripped out some planned activities and devoted more time to the “Game Design Challenge” – the game design activity that took up most of the week. However, I got the same feedback again – the participants wanted more time to work on their own. So, this year I took the plunge and devoted the whole week (bar an introduction and a short theory workshop on the Monday) to the Game Design Challenge, with other small bits of content brought in informally as the game design progressed. I wondered if the lack of theory would hamper the students, or if they’d feel they’d been “thrown in at the deep end”. Well – no! The games from this year were some of the best I’ve seen, and the reflections on game design in general given during the final presentations were also more developed than I’d seen before. It’s made me realise that most of the content that might be given in a lecture will come up organically during the process anyway, and that when students come up against it on a real project it’s more likely to stick. And I think I might’ve got over my nothing-to-say phobia. If you’re thinking about teaching your own serious game design course, I really recommend the Triadic Game Design workshop, the Systems Thinking Playbook (or the Climate Change Systems Thinking Playbook (pdf)), and Spielmaterial.de for building up your game materials collection (no sponsorship, I just really like the site)! Also feel free to contact me if you’d like any pointers.